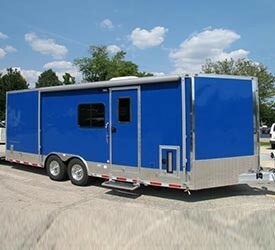 Motorcycle Trailers, Car Haulers and More! 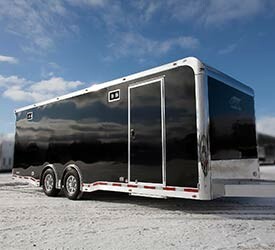 For those who love to live fast, we offer motorsports trailers for safe transportation of expensive vehicles. 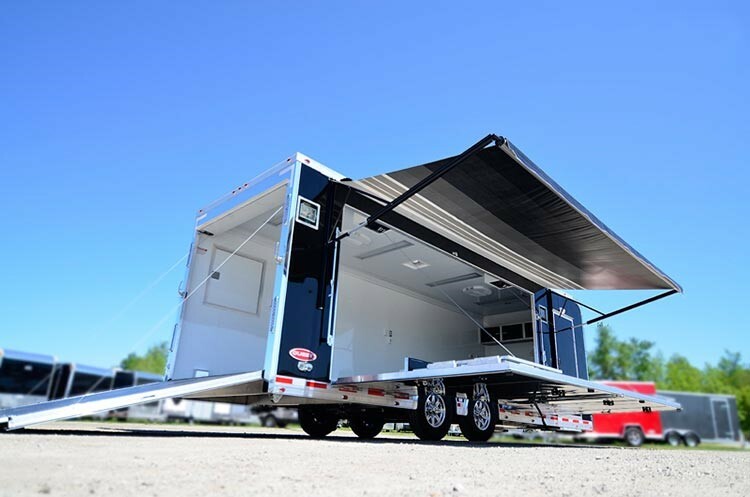 Advantage Trailer has spent many years within the motorcycle and automobile market, helping thousands of customers with trailer-based solutions. 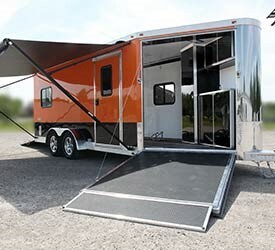 We offer a full line of motorsports trailers, including open car haulers, enclosed car trailers, stacker trailers, toy haulers, motorcycle trailers, snowmobile trailers and more. 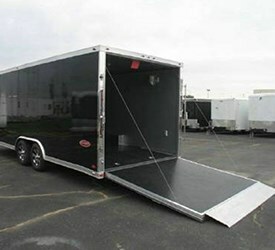 No matter what you need to safely transport your vehicles, we can build it for you with ease and efficiency. 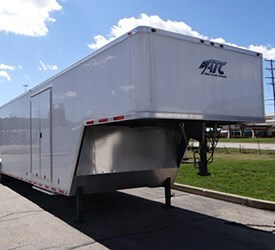 As a premiere dealer of ATC trailers, no job is too complex for our expert designers and fabricators. Over the years, our customers have grown to appreciate our focus on the ease of loading and unloading vehicles safely. 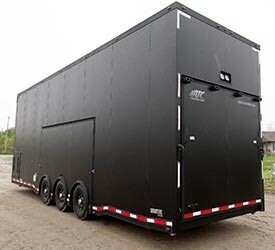 Each of our car hauler and motorsport trailers are tested to ensure our safe and convenient features enhance usability. 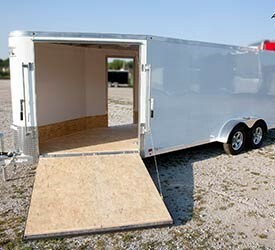 Rest assured that your vehicles will be safely transported when you purchase one of our state-of-the-art trailers.